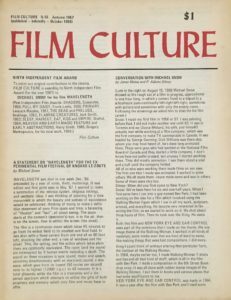 Copyright 1968 by Film Culture. Printed in the U.S.A. Distributed by B. De Boer, Nutley, N.J.